The April meeting will be at 6:30 pm on the 16th at the University of Tennessee Space institute, room H111. The program will feature Vince Zaccardi “From prototype to Production". Vince will describe the project for development of stations for theStory Walk project in Tullahoma. Members of the Clubparticipated in this project and will enjoy a review of the process. I don’t know which direction to take this April newsletter. 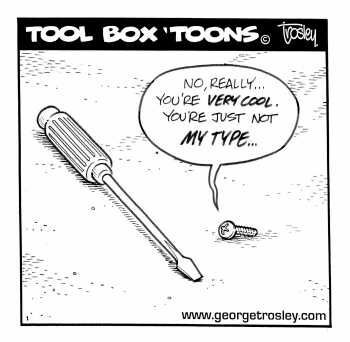 I think it’s National Woodworking Month, but there’s April Fool’s day to consider too. 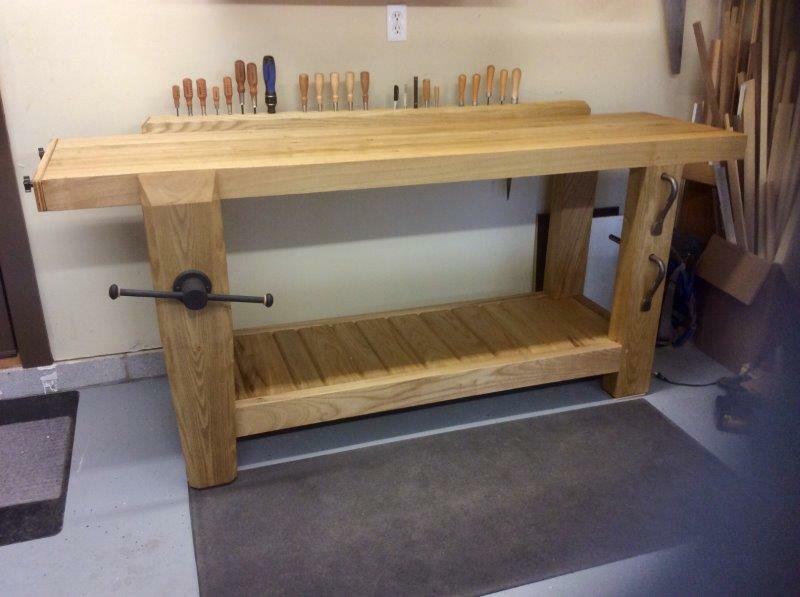 Trying to decide which to promote, I realized that to TVW members, every month is National Woodworking Month. But by the same token, I find that as I get older every day is April Fool’s Day. Before we end this newsletter, we’ll visit April Fool’s Day again. 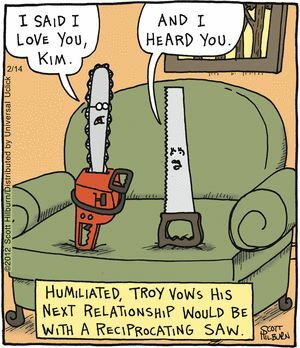 Now, on with Splinters. Pepper Mill Workshop – Doyle spent two days churning out pepper mills with interested club members. Maybe we’ll see some of them at this month’s meeting. Shop Tour – We finally got the Shop Tour done. A group of 15-20 members met at Sunrise Restaurant for breakfast and then toured my shop (Richard Gulley) in Decherd and Henry Davis’ shop in Winchester Springs. It was a good day. I think the next shop tour is already in the planning stage. We welcome Max Heath from Belvidere, TN. He joined at the March meeting. Dues are due. If you’re not sure if you’re paid up, just ask Paul Jalbert. Pictures can also be seen in the Gallery and possibly more (close-ups and other views). 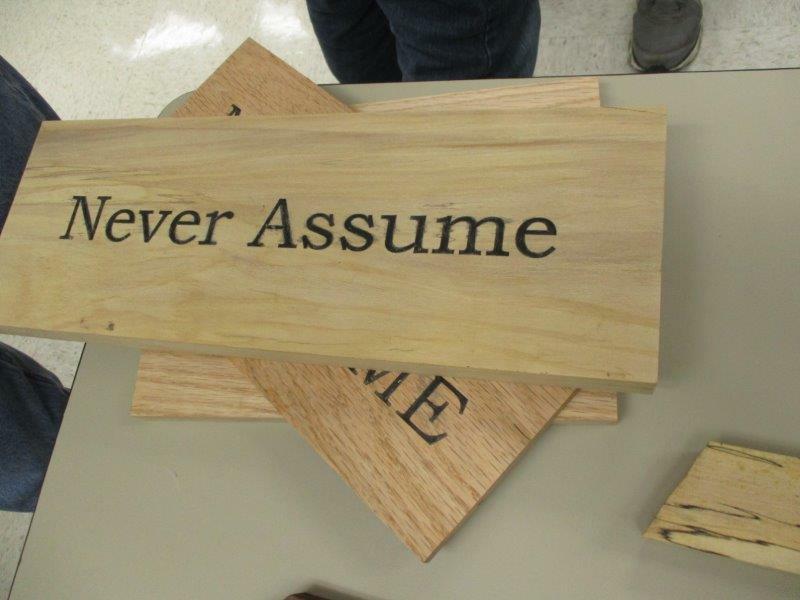 We appreciate you taking the time to give us the info on your Show & Tell items. It makes our secretary’s job much easier. 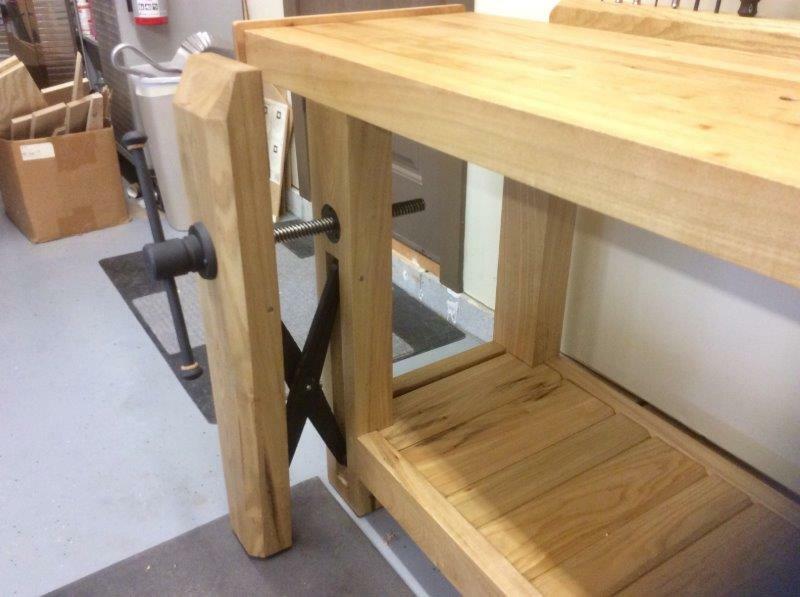 Tony Murphy showed slides of the shop bench he made which included a vise. 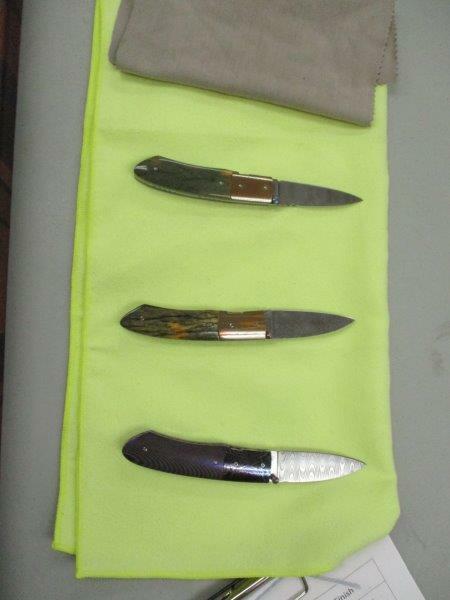 Wood sassafras..
Gary Runyon brought several knives he had made. 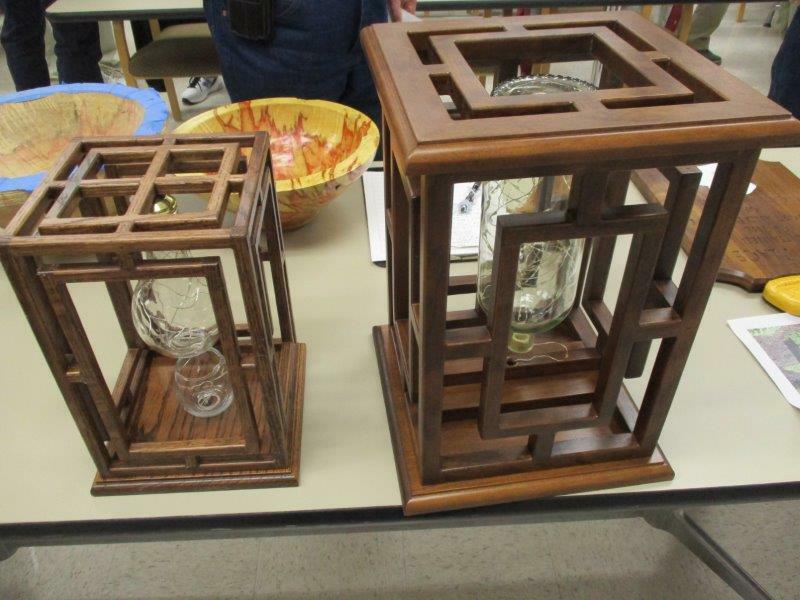 John Duval showed a number of items he made in last few weeks. 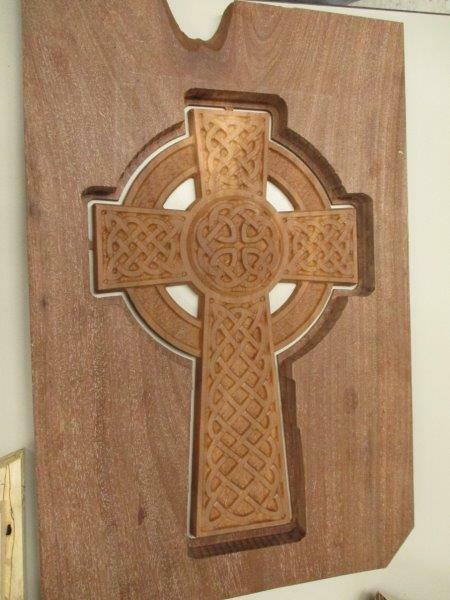 He had a cutting board made of cherry and walnut and finished with oil and wax. He brought 3 natural edge bowls with bark. 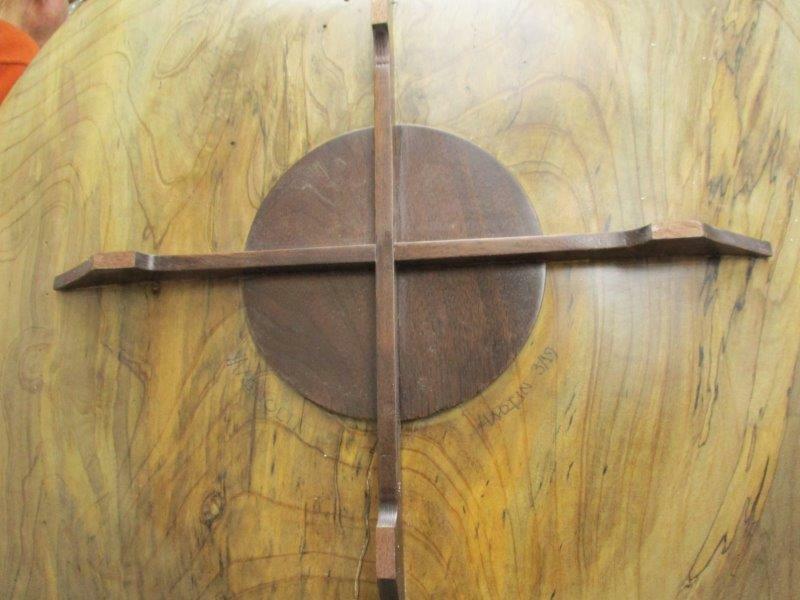 Made of walnut and finish poly. 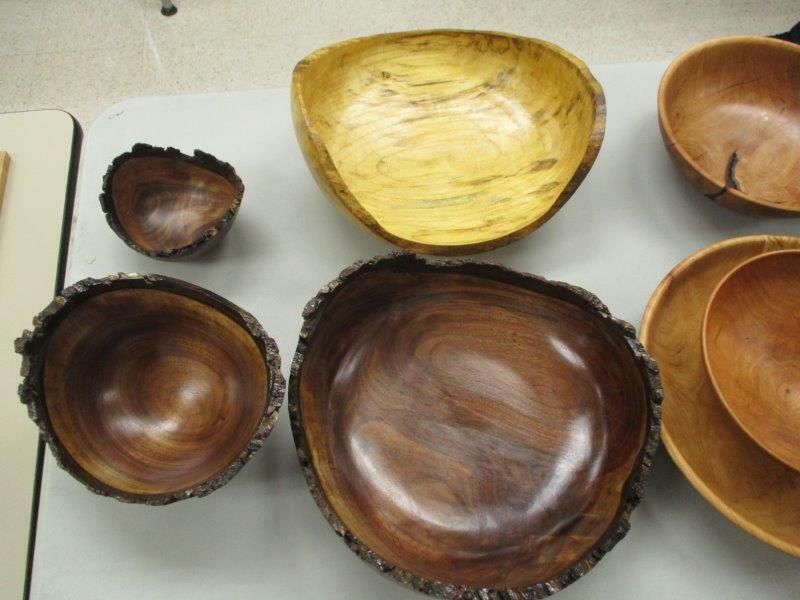 Also 3 large natural edge platters made of cottonwood and finished with oil and wax. 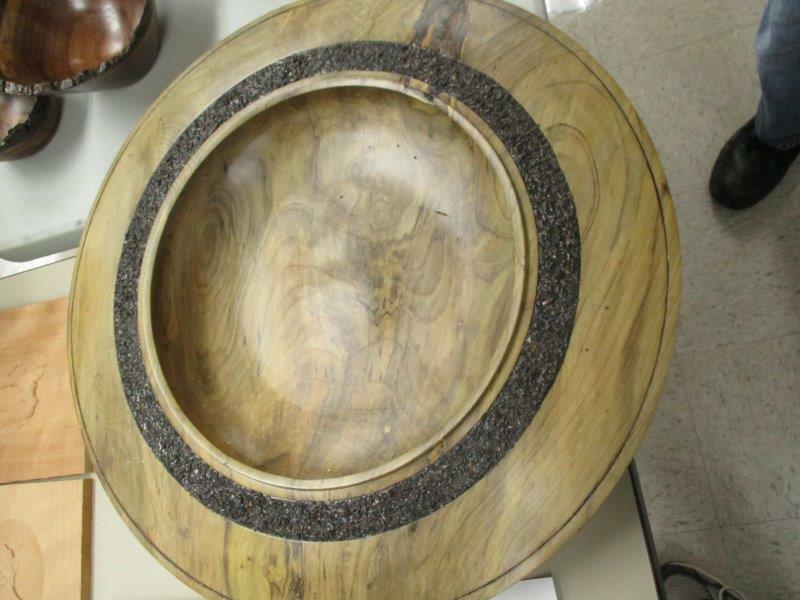 He had a small plate made of box elder with poly finish. 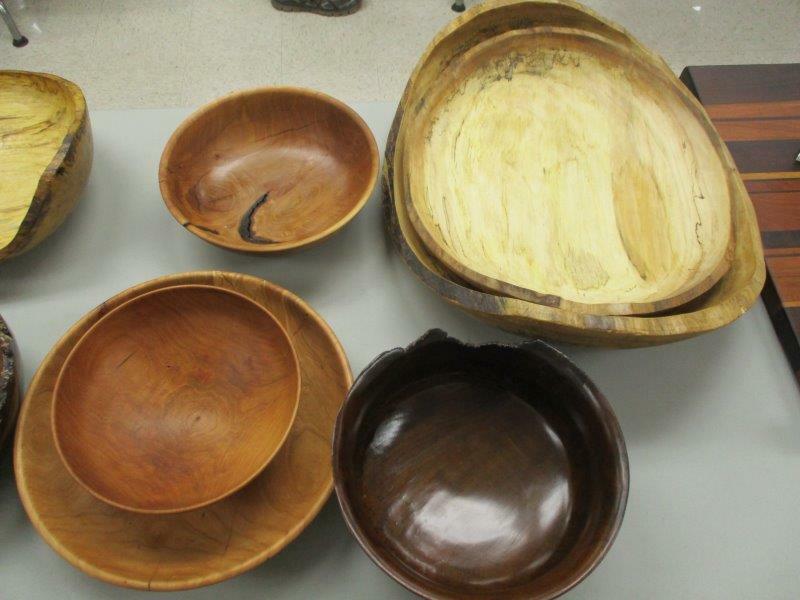 John had a variety of bowls made of cherry, Bradford pear, and walnut. Finished with poly. 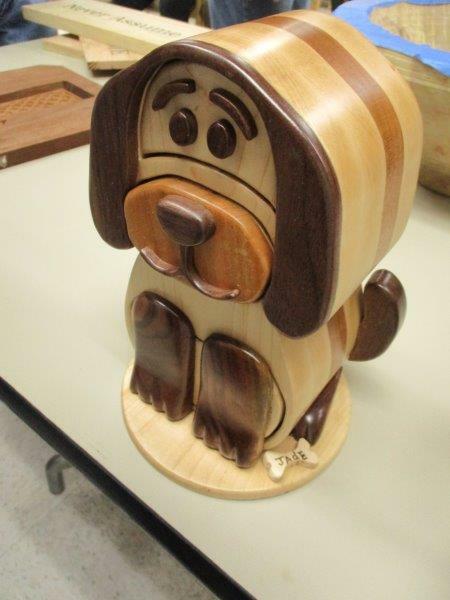 Troy Eason displayed a pretty bandsaw box and 2 lighted boxes made with cherry, walnut and oak. 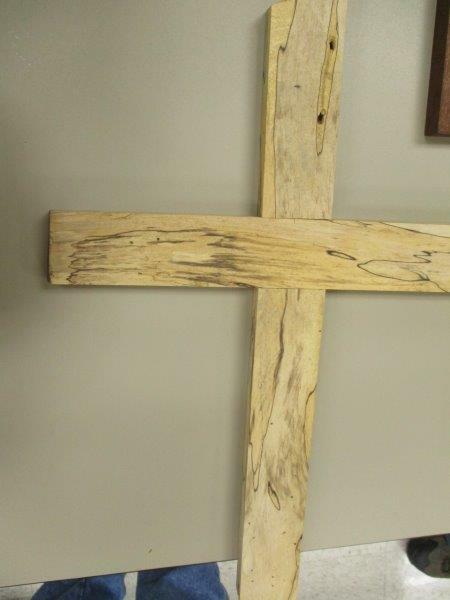 Finish is tung oil. 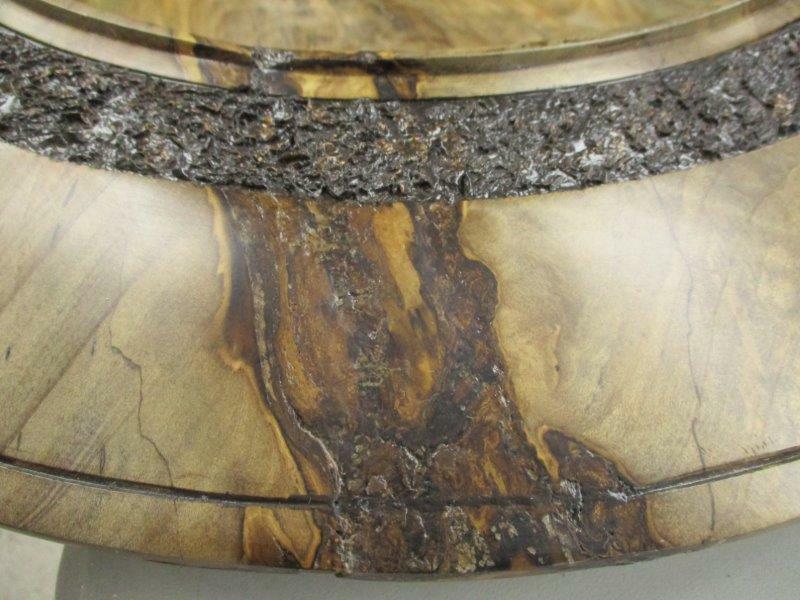 John Hartin displayed a large bowl with a unique decorated edge and additional base. 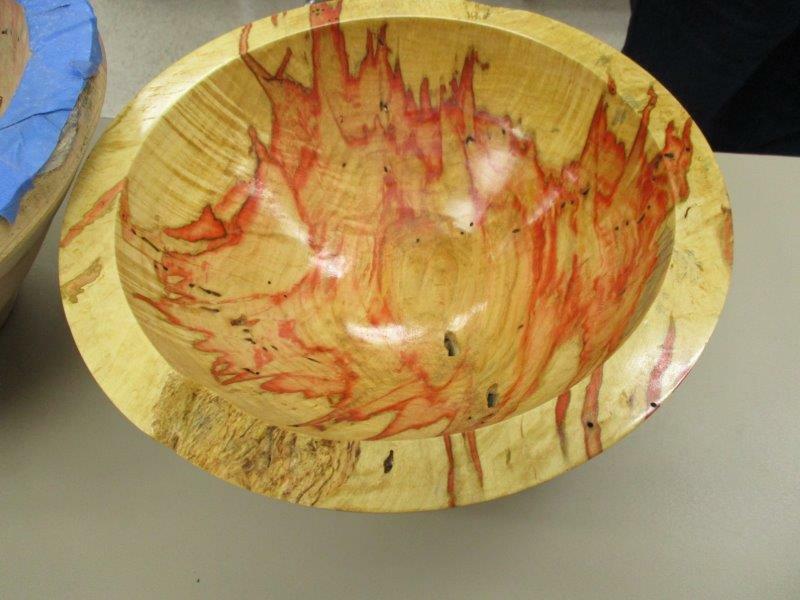 The bowl was made from a large magnolia crotch and finished with lacquer. I have two interesting links for you this month. I noticed one had already shown up on the forum. BTW, have you shown up on the forum lately? For all you Neanderthal woodworkers who dearly love seeing shavings roll out of a hand plane, check out Bench Dog’s new world’s largest hand plane. For all you turners, I submit the newest mini lathe. Soon to be all the rage! 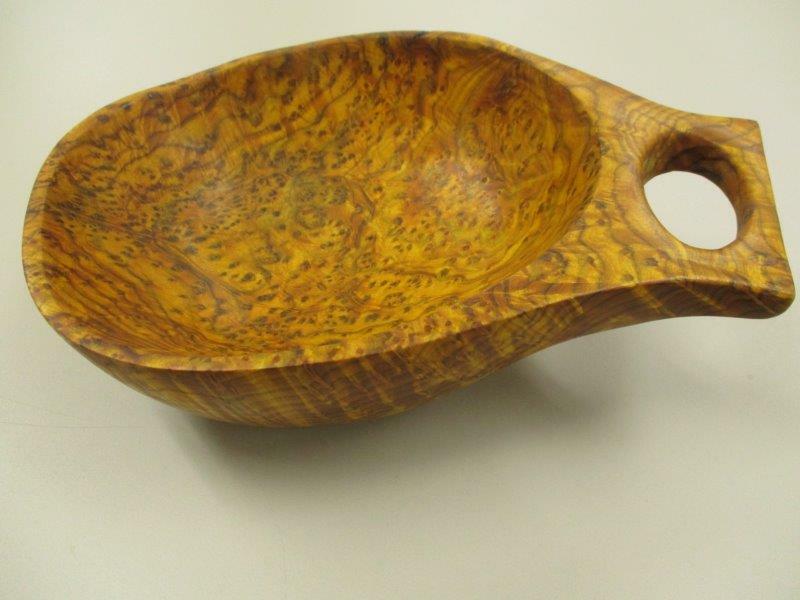 The Splinters Carvers meet at Jim Jolliffe’s shop on the first and third Saturday's of the month from 8:30 am to 10:30 am. The shop is located at 201 Jolliffe Acres Ln, Tullahoma. 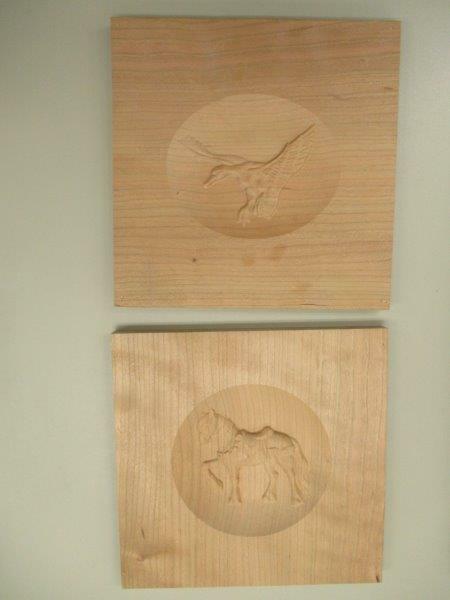 Tools and wood are available at the meetings, just bring yourself and try your hand at carving! Spring is in the air and I thought it might be time to get a little romance into the shop. Enjoy! That’s all for this month. Watch out for SPLINTERS! Submissions to the newsletter are more than welcomed. Send funnies, tips, or other content that may be of interest and you may see it in a future edition of SPLINTERS.